Orgasmic Leadership tells the story of what drives, inspires and sustains entrepreneurs in the rapidly growing global women's sexual health and wellness space. 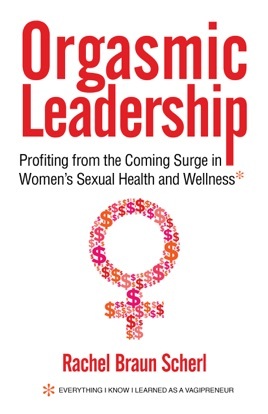 Orgasmic Leadership reflects a wellspring of deep personal experience in pharmaceuticals, consumer products, women's health as well as indepth interviews with leaders in the sexual wellness field. Rachel Braun Scherl takes on women's long-neglected needs and satisfaction with a strategic business focus, humor, insight, passion, and in the process, exposes an incredibly complex tangle of outdated barriers and challenges that stand in the way of the successful commercialization of women's health products and services.